After reading others' reviews and having driven the 2009 Buick Enclave, TheCarConnection.com’s editors highly recommend purchasing the rearview camera option. 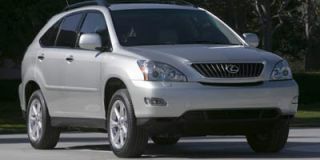 The 2009 Buick Enclave takes American-made luxury crossovers into the realm where Lexus resides. TheCarConnection.com's editors drove the new Buick Enclave in order to give you an expert opinion. TheCarConnection.com also researched available road tests on the new Buick Enclave to produce this conclusive review and to help you make sense of where and why reviewers might differ. Introduced last year, the Buick Enclave returns for 2009 in CX and CXL models with more convenience features and a new 3.6-liter V-6 direct injection engine as the standard power plant. 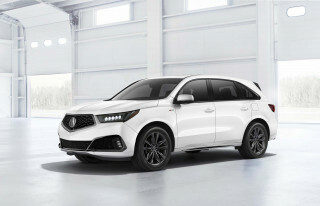 The full-size luxury crossover has seating for eight and lots of cargo room while delivering 16 mpg city, 22 highway for all-wheel-drive models, according to EPA estimates (although TheCarConnection.com's editors believe those figures to be optimistic). The Enclave's interior is a combination of subdued, luxurious, and high-quality styling and materials. The elegant exterior design was well received by consumers last year because Buick retained the styling elements that made the Enclave a hit as a concept model a couple years prior. The Enclave's retail price is surprisingly affordable for this type of vehicle, and the crossover offers a host of standard equipment and an extensive warranty. The new 3.6-liter direct injection V-6 engine in the 2009 Buick Enclave produces 288 horsepower and 270 pound-feet of torque burning regular unleaded gasoline. The V-6 is mated to the Hydra-Matic 6T75 electronically controlled six-speed automatic transmission that features automatic grade braking, shift stabilization, and precise shift control. The wide-ratio (6.04:1) transmission is designed to deliver both performance and fuel economy, as well as tow up 4,500 pounds. Initial acceleration is more than adequate, however, we've found that the transmission tends to hunt for the right gear and the result can be jarring inside the cabin. Against other full-sizers, the Enclave is more refined and a smoother ride with a quieter interior. It's also bigger. With a standard third row and room for 7 or 8, depending on configuration, there's plenty of space inside compared to others in its class. The third row is real; not just a gimmick for a billboard number. Almost 19 cubic feet of cargo room lives behind the last row, and the Enclave can tow up to 4,500 pounds when properly equipped. Relative to full-size truck-based SUVs, the 2009 Buick Enclave should provide better safety for passengers, with standard front-seat side airbags, full-length side-curtain airbags, and electronic stability control. The Enclave is among the best-rated vehicles in crash tests, with top standings in all U.S. front- and side tests. The 2009 Buick Enclave comes very well equipped, with top CXL trims offering (standard or optional) a 10-speaker Bose surround-sound stereo to three-zone climate control, a power rear liftgate, a head-up display (HUD), GPS, a two-panel sunroof, and a backseat DVD entertainment system. New convenience features on the 2009 Enclave model include heated and cooled driver and front-passenger seats, a Bluetooth hands-free phone interface, XM NavTraffic, OnStar Destination Download, and two new exterior colors: Quicksilver Metallic and Silver Green Metallic. A 19-inch wheel/tire package is available for the 2009 Buick Enclave and looks sharp, but be sure you test drive a model so equipped before you buy, as the ride quality suffers a bit. Both the curvy exterior styling and the tasteful interior look of the 2009 Buick Enclave find a lot of friends. TheCarConnection.com finds the majority of reviewers enjoy the looks, inside and out, of the 2009 Buick Enclave. Outside, it features a curvy body and elegant styling, although we'd say that the D-pillar would look better in black—a way to help visually separate the roof from the rest of the body. Inside the quiet cabin is shod with high-quality materials and it is a revelation for Buick. MotherProof wrote much of the same, calling the shape "lean." Kelley Blue Book added that the waterfall grille and lines above the fender evoke the classic shapes of early Buicks from the 40s and 50s. Car and Driver wrote that the shape is a more soothing design, and BusinessWeek agrees by adding that the curvy contours, bold grille, and added chrome enhance the Enclave's shape. Each GM full-size crossover in the portfolio now (Saturn Outlook, Chevrolet Traverse, and GMC Acadia) were designed and build independently from each other, although they all share running gear and suspension components. The Enclave's shape isn't borrowed from any other car, however, and opens up a new era for design with rounded shapes, soft and subtle cues, and elegant design—inside and out. The 2009 Buick Enclave's shapes were praised by Edmunds, who noted that it had "voluptuous curves," but Road & Travel called the idea "slinky." 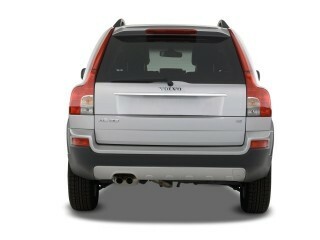 Car and Driver added more by noticing the "flowing lines, big wheels, a wide stance" and the body's tapered look up top. MSN autos wrote that the Enclave was the best looking of the GM bunch. The interior of the 2009 Buick Enclave suggests that it's from an earlier era of Buicks, according to the Auto Channel. They wrote that the Enclave's interior, with analog clock in the dash, gave the Enclave an Art Deco feel. Motor Trend noted that the Enclave's interior was a marked improvement and that its Coke-bottle, organic exterior is inspired. The New York Times agrees, reporting that GM's intention to upgrade its interiors has paid off. 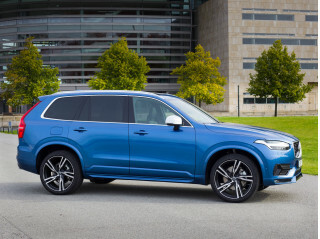 BusinessWeek gushed about the interior as well, calling it gorgeous and easily as nice as other luxury competitors, including the Lexus RX, Acura MDX, and Volvo. While power and fuel economy are unremarkable, the 2009 Buick Enclave handles pretty well. The smooth-riding, nice-handling 2009 Buick Enclave leaves reviewers wanting more from its engine. The 2009 Buick Enclave features a new 3.6-liter V-6 engine producing 288 horsepower and 270 pound-feet of torque. The direct-injection engine runs on regular unleaded gasoline, and 90 percent of the engine's peak torque is available from 2,500 rpm to more than 6,000 rpm. The Enclave takes only 8 seconds to sprint up to 60 mph and The Auto Channel called that good enough to be more than "adequate" for most drivers in daily circumstances. BusinessWeek disagreed with that assessment, noting that after several attempts it was hard to make the same run in the same time and saying that the Enclave didn't compete with Japanese and German rivals. Cars.com said the V-6 wouldn't likely be mistaken for a V-8, but could do the job when called upon. The V-6 is paired to a 6-speed automatic with automatic grade braking. Edmunds, ConsumerGuide, and Cars.com all reported that the 6-speed was a smooth customer, but apparently busier than it needed to be, and had a tendency to be a little overeager on upshifts. Motor Trend complained that the heavy crossover made the 6-speed labor hard to launch out of tight turns, onto busy freeways, or up hilly roads. The Enclave is standard with front-wheel drive, but available in all-wheel drive, without much penalty on fuel economy ratings. About those ratings: TheCarConnection.com thinks they're a little optimistic. 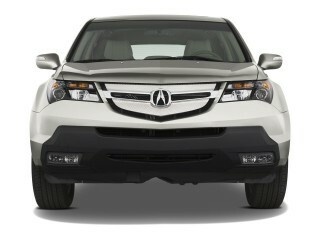 The all-wheel-drive version gets slightly lower mileage on the highway, about 22 mpg, according to Cars.com. Edmunds noted that the overall average is around 16 mpg. Like most Buicks, the Enclave is a smooth operator when in motion at freeway speeds. According to Motor Trend, "The Enclave's ride is isolated, comfortable but with moderate roll." 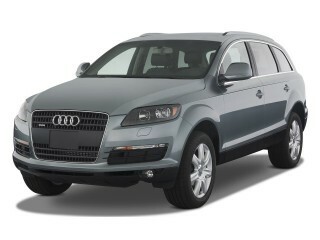 The Enclave handles well "for a large, comfortable crossover utility." However, they dislike the lack of steering feel, and "poor feedback, especially on-center." Conclusion While power and fuel economy are unremarkable, the 2009 Buick Enclave handles pretty well. The 2009 Buick Enclave envelops its passengers with a luxurious, quiet interior. Editors at TheCarConnection.com say that the Enclave has plenty of interior room, and that it's usefully packaged. ConsumerGuide noted the same, and an expanse of head and leg room, and that getting in and out of the crossover is a "breeze." Cars.com found that the third row might be a little cramped for adult passengers, but BusinessWeek noted the exceptional comfort of the second-row captain's chairs and their SmartSlide feature, which allows them to fold forward, making entry and exit easy for third-row passengers. The 2009 Buick Encore has been praised for being a quiet and roomy crossover. The Auto Channel noticed the effort that GM designers made to keep the cabin quiet and comfortable, lauding the effort as "magnificent." The New York Times even took note of GM's QuietTuning technology that stuffs the Enclave with more sound-deadening material than its cousins, which could help propel the brand to compete up against the likes of Lexus. Kelley Blue Book wrote that the interior was "delightfully calm," and managed to quell most of the noises that creep in during long drives. By the numbers, the Enclave has a leg up on some of its competitors. Car and Driver laid out the dimensions, noting 115 cubic feet behind the front row with all the seats folded down, large enough to lay flat 4-by-8 foot sheets of plywood, or 19 cubic feet behind the third row with all three rows of seating in place. A few bad choices regarding cabin materials remain the only black mark against the 2009 Buick Enclave. The interior is inviting, Kelley Blue Book wrote, with a dashboard that's enhanced with wood applique, chrome trim and high-quality materials all the way around. Motor Trend admired the wood and leather-wrapped steering wheel, but noted that it didn't jibe with the hard plastics found on the steering wheel hub. Some of they vinyl grains weren't top-shelf either, they wrote. 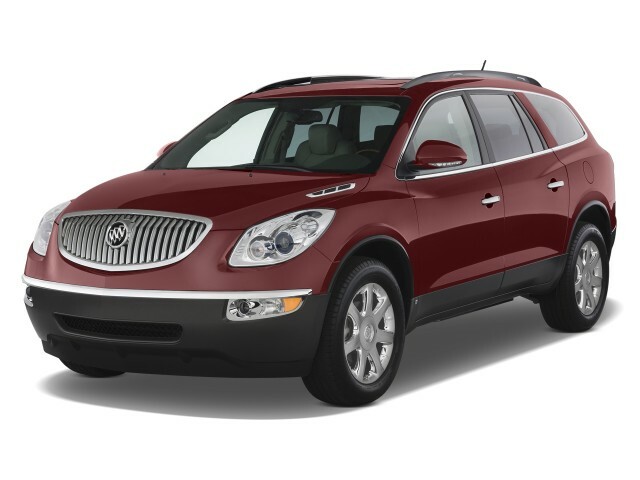 The 2009 Buick Enclave is one of the safest crossovers on the market. The 2009 Buick Enclave gets high scores in federal crash tests and features an arsenal of standard safety equipment. According to Car and Driver, GM uses "high-strength steel for protection" of its occupants, while Cars.com reports that Buick includes anti-lock brakes and an electronic stability system in the Enclave's package of standard equipment, along with six airbags. Crash-test results for the 2009 Buick Enclave are about the best possible for such a vehicle. Federal testers gave the big crossover five stars for front- and side-impact crash protection, but only four stars for rollover protection—a common score for tall-riding SUVs. The insurance-affiliated IIHS awards its top "good" rating in frontal offset, side-impact, and seat-based rear-impact tests. Altogether from a crash-protection standpoint, that places the Enclave among the best performers. The 2009 Buick Enclave is available in either front- or all-wheel drive, and according to Kelley Blue Book, the AWD option is "engineered to enhance traction in the more realistic conditions of wet or snowy roads," but is not appropriate for hard-core off-roading. For a very well-equipped luxury crossover vehicle, the 2009 Buick Enclave is a relative bargain. The 2009 Buick Enclave offers an impressive standard-feature set, at a price that's competitively low—provided you keep the options down. Cars.com reports that keyless entry, CD stereo with XM Satellite Radio (free for the first three months, according to The Auto Channel), and a power liftgate are all standard on the base model. In addition, a tilt-telescoping steering wheel and a rearview camera are available options, but Edmunds warns that these will increase the price "well past the $40,000 mark." New convenience features on the 2009 Enclave model include heated and cooled driver and front-passenger seats, Bluetooth for hands-free phone interface, XM NavTraffic, OnStar Destination Download, and two new exterior colors: Quicksilver Metallic and Silver Green Metallic. Higher-end models of the 2009 Buick Enclave offer or can be ordered with all the niceties, from a 10-speaker Bose surround-sound stereo to three-zone climate control, a power rear liftgate, a head-up display (HUD), GPS, a two-panel sunroof, and backseat DVD entertainment system. A 19-inch wheel/tire package is available and looks sharp, but be sure you test drive a model so equipped before you buy, as the ride quality suffers a bit. MotherProof praises the many optional features available for the Buick Enclave and expresses surprise that a fully loaded, top-of-the-line version is "only $44,055." 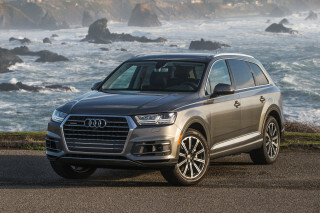 These options include a navigation system, rear-seat DVD entertainment system, heated seats, a sunroof, and power seats all around (except the third row). Looking for a different year of the Buick Enclave?